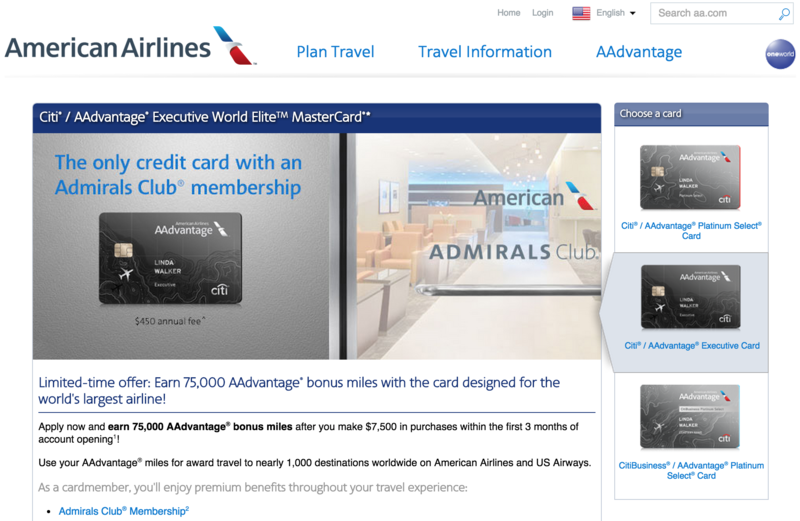 Hello world travelers / American Airlines fans. 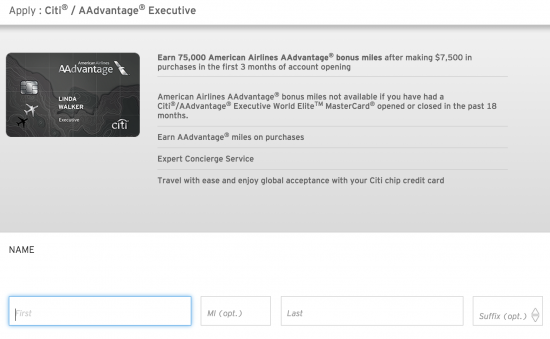 If you are interested in a credit card that helps you earn while you fly, and are rich, then the Citi AAdvantage Executive Credit Card is for you. 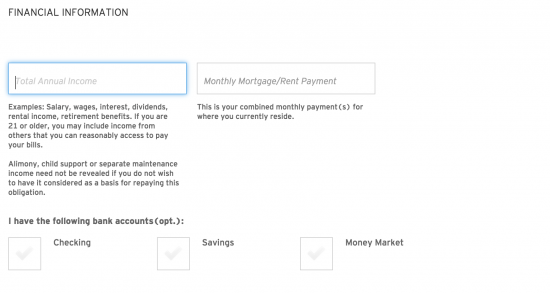 The application offered by Citigroup is simple, but just incase you are having a bit of trouble we’ve laid out a step-by-step tutorial below to facilitate the process. You must meet the requirements below to be eligible for this card. Applicants will need to first navigate to this webpage (shown below) before being able to access the secure application. 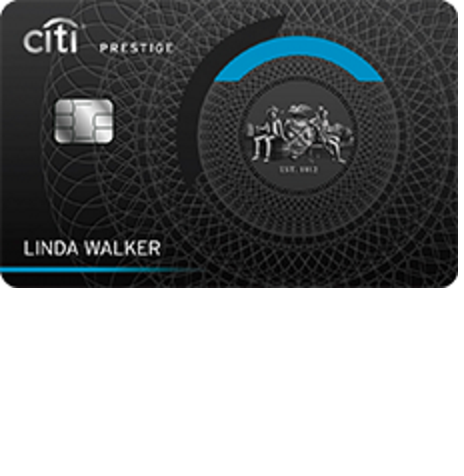 The link to the secure form is at the bottom of the page, below a conveniently placed summary of the rewards specific to this card. You must at this point choose a security word to be associated with your card for when you call Citi to discuss your account. At this point you must surrender your financial information to Citigroup so that they can evaluate your creditworthiness. 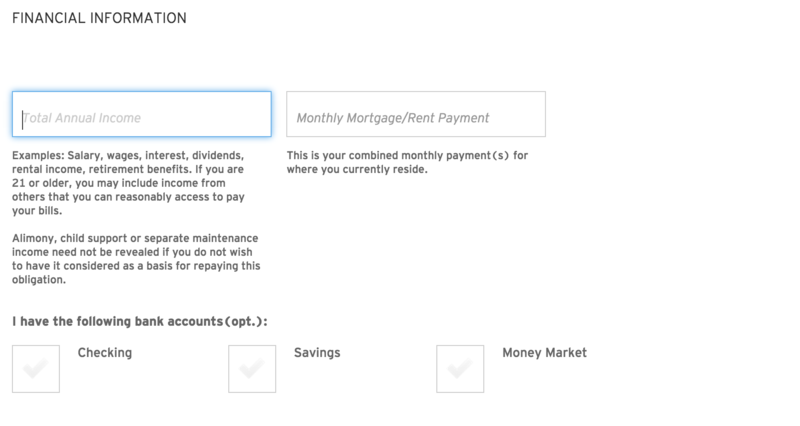 You will specifically need to enter your annual income, monthly rent or mortgage, and select which bank accounts you have open. 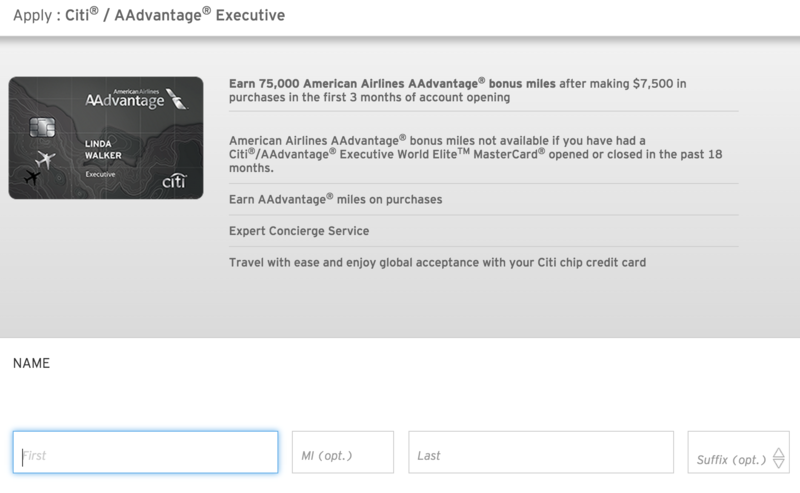 For those applicants who are already enrolled in the AAdvantage program please enter your number into the provided field in order for it to show up on your card and be associated with your account. Nonmembers will be provided with a number if approved for the card. You may at this point designate any authorized users to be linked to your account by supplying some of their basic information. Please review the Terms and Conditions carefully at this point.